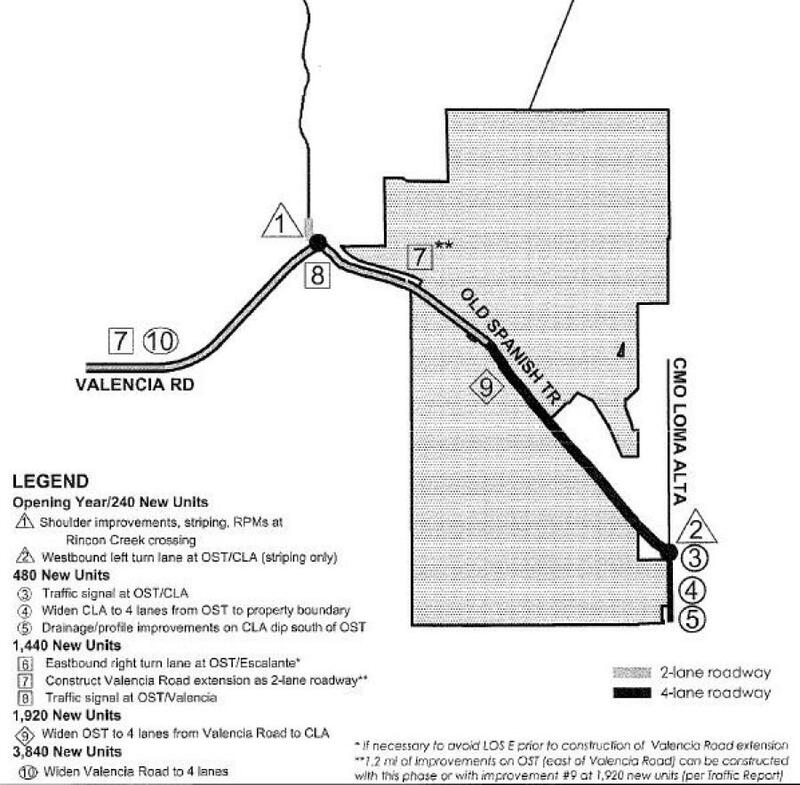 The extension of Valencia Road runs 2.6-mi. from Houghton Road to Old Spanish Trail. Pima County Supervisors voted unanimously May 15 to approve a public-private partnership that included both an amended development agreement for the Rocking K residential development and the sale of Certificates of Participation to finance construction of an extension of Valencia Road. The Board voted to allow the County to use $16 million in Certificates of Participation (COPs) to fund construction of an extension of Valencia Road. The amended development agreement also was approved that stipulates the terms of the agreement. The developer of the property would repay the COPs through transportation impact fees. Rocking K developer, Diamond Ventures, initiated and requested the agreement so Valencia Road could be extended into the planned 4,500-acre residential and mixed-use property. The developer will repay the County's COPs debt through impact fee collections over 15 years. In the event impact fee collections do not fully repay the County's debt obligations, the developer agrees to repay through other direct payments to the County. The developer also posted Rocking K land as collateral to secure the debt. The extension of Valencia Road runs 2.6-mi. from Houghton Road to Old Spanish Trail. The agreement also covers construction of a bridge over the Pantano Wash along with bank protection of the wash in adjacent areas. Construction plans also include installation of traffic signalization at the intersection of Valencia and Old Spanish Trail and widening of Old Spanish Trail to four lanes south of the new connection to Camino Loma Alta. Supervisors originally approved the Rocking K Specific Plan in 1990. Since then, development plans have been scaled back, reducing the number of homes on the north side of Old Spanish Trail and eliminating proposed golf courses.